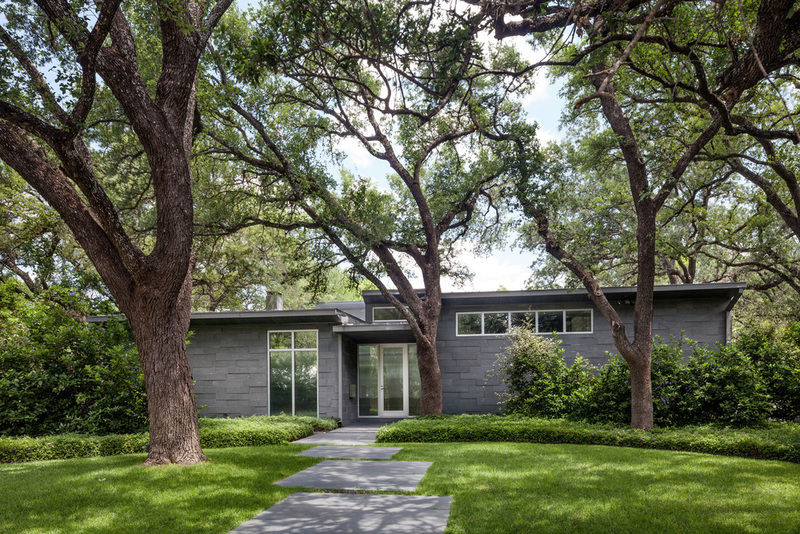 This residence responds to the existing majestic live oak trees on this very centrally located property in Alamo Heights. The resulting design is an “S” shape with courtyards around the most important specimen trees. The foundation system was customized to span over the tree roots and extensive protection measures were taken during construction. All of the original trees on the site are thriving. Each room and space is planned with views through the house and out the landscape. Extensive use of floor-to-ceiling windows and doors extend the spaces of the house out into the courtyards. The residence is highly energy efficient, with thick stone walls providing thermal mass to temper the summer heat, extensive overhangs to shade the glass, highly insulated walls and roof, and high performance glass.